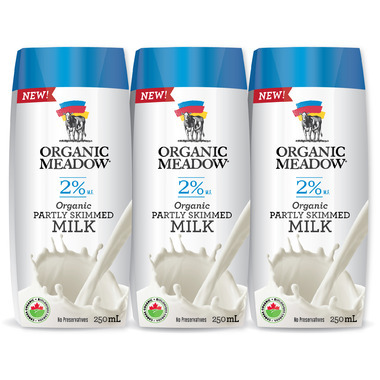 Allergen Declarations: Organic Meadow Organic 2% M.F. 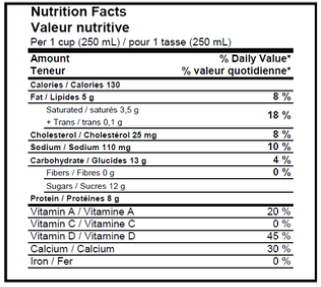 Partly Skimmed Shelf Stable Milk contains milk allergen (organic partly skimmed milk). The best travel milk for toddlers. I love this product! It is the best for camping since it is shelf stable and fits in a backpack if you go without a cooler (ultralight). If you camp and like to eat real food rather than dehydrated meals, give this a try! It's great for cereal in the morning, on oatmeal, or in hot chocolate. So happy to have found this product. I'm not a milk drinker but like to have some on hand for my coffee drinking surprise visitors and some recipes. This shelf stable milk (like pretty much all milk sold in Europe) is great. I always have an emergency supply on hand.